Prime Properties is a Real Estate firm providing all the necessary services related to the estate world. We offer property consultancy by thoroughly understanding the requirement of our customers and providing relevant property options. We Mainly deal in all type of property like residential, commercial, industrial related work like buy, sell, rent, lease etc. Our motto is to build a healthy relation between our client and us for the flourishment of our buisness and the company. We also provide facilities for legal documentation like rent agreement. Please feel free to contact us anytime for anytime for any query. 2bhk, semi-furnish flat,available for rent at sama savli road. 2bhk semifurnish appartment for rent at new vip road. 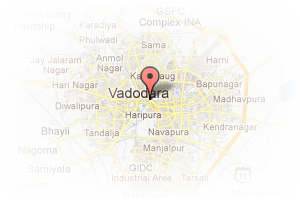 Address: vadodara, New VIP Road, Vadodara, Gujarat, India. This Broker Profile page for "Prime Properties" has been created by PropertyWala.com. 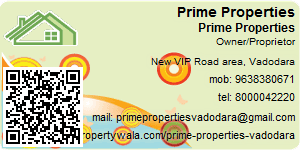 "Prime Properties" is not endorsed by or affiliated with PropertyWala.com. For questions regarding Broker Profiles on PropertyWala.com please contact us.